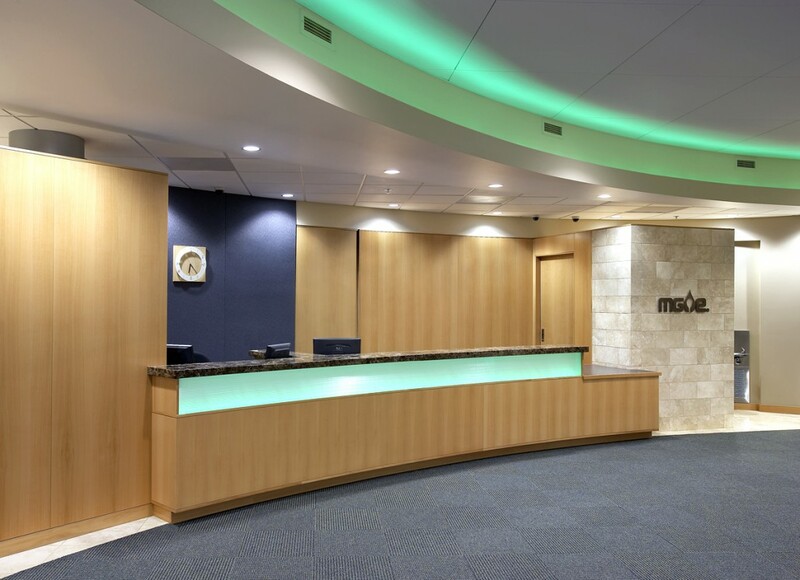 The goal of the MG&E lobby renovation was to provide a more inviting public entrance to the existing facility. To achieve this goal, Potter Lawson incorporated vast amounts of daylighting, natural materials, and soft curved planes. Also incorporated are LED lights with the ability to change hues for mood settings. For example on a rainy day, you can set a cheery green to brighten up the space. 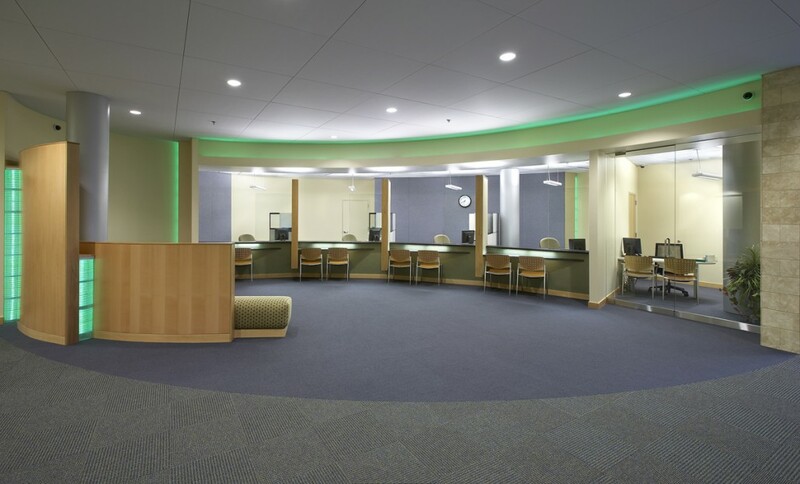 The renovation included a new reception / security desk, customer service desks, 3 conference rooms, a lobby and sitting area. Daylighting is abundant, and was made available to the conference rooms due to their placement at the base of the building’s interior atrium.